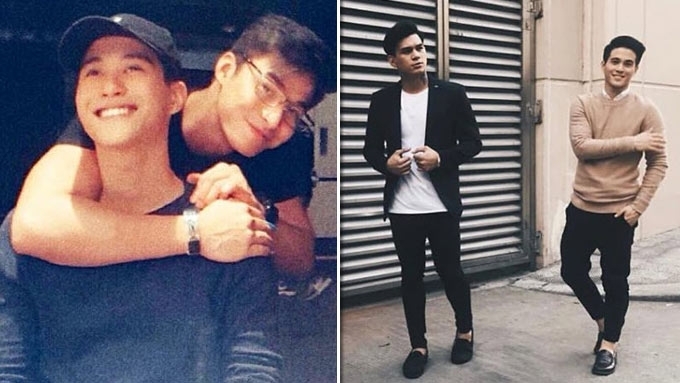 McCoy de Leon, Ronnie Alonte, Jameson Blake, Zeus Collins, and the rest of the Hashtags took to social media to express their grief over the passing of their close friend and colleague Franco Hernandez. It's Showtime's all-male group, Hashtags, lost one of its members today when Franco Hernandez died in a drowning incident in a resort in Davao Occidental. The group celebrated its second anniversary today, November 11, but the achievement was quickly overshadowed by the tragic news. Franco's fellow Hashtags members took to their respective social media accounts to honor and mourn their late brother. McCoy de Leon posted a photo of him and Franco and captioned, "Bro sobrang binigla mo kami. "Nakilala kita na mabuting tao at kaibigan. "Marami kang napasaya isa na ako dun. "Basta lagi kong sasabihin sayo na proud na proud ako sayo bro. "Salamat mamimiss ka namin we love you." Bro sobrang binigla mo kami. Nakilala kita na mabuting tao at kaibigan. Marami kang napasaya isa na ako dun. Basta lagi kong sasabihin sayo na proud na proud ako sayo bro. Salamat mamimiss ka namin we love you. Ronnie Alonte simply tweeted "Franco" followed by a crying emoji. Jameson Blake said he'll miss Franco's goofy antics. Won’t have someone to impersonate me, you were good at that. You will be missed man.. @Hashtag_Franco God bless your soul. Zeus Collins remained in a state of shock, tweeting, "Diko alam kung ano gagawin ko..."
Diko alam kung ano gagawin ko???????????? He then dedicated three Instagram posts to Franco in his memory. Zeus wrote in one post, "Mahal kita brother ko." Mahal kita brother ko @hashtag_franco ???????????? Luke Conde also took to Twitter to send his message to Franco. Ang dami pa nating pinagmeetingan bago tayo ng bakasyon, pero itutuloy namin para sayo, mahal na mahal ka namin @Hashtag_Franco. Paulo Angeles honored Franco's memory by remembering the good conversations they've had and the help Franco gave him. Vitto Marquez also remained in a state of shock as "words cannot express" his current emotions. He uploaded a pic collage of Franco on his Instagram and wrote, "Rest well my friend." Words cannot express what I am feeling. Mamimiss kita Franco. Mahal kita bro. Rest well my friend. Ryle Tan shared a fun memory of Franco when the two of them were dressed up as Pineapple Pen and Pikotaro. He expressed his frustration over the reality that Franco had passed away, "Nakakainis ka. "Hindi ka man lang nagpaalam sa amin. "Mahal na mahal ka namin, Franco. I will miss you. "Bago bago mo palang sa Hashtags, nauna ka pang umalis. "You were such a blessing, Franco. "I hope you know that." Nakakainis ka. Sobra. Hindi ka man lang nagpaalam sa amin. Mahal na mahal ka namin, Franco. I will miss you. Bago bago mo palang sa Hashtags, nauna ka pang umalis. You were such a blessing, Franco. I hope you know that. Nikko Natividad posted a group shot of the Hashtags with the words "Happy 2nd anniversary" written across. He wrote to Franco, "We will miss you." Anniversary naten mga brother. At ito rin ang araw na bigla nalang nawala si @hashtag_franco ???????? mahal ka namin bro. We will miss you ??????? ?